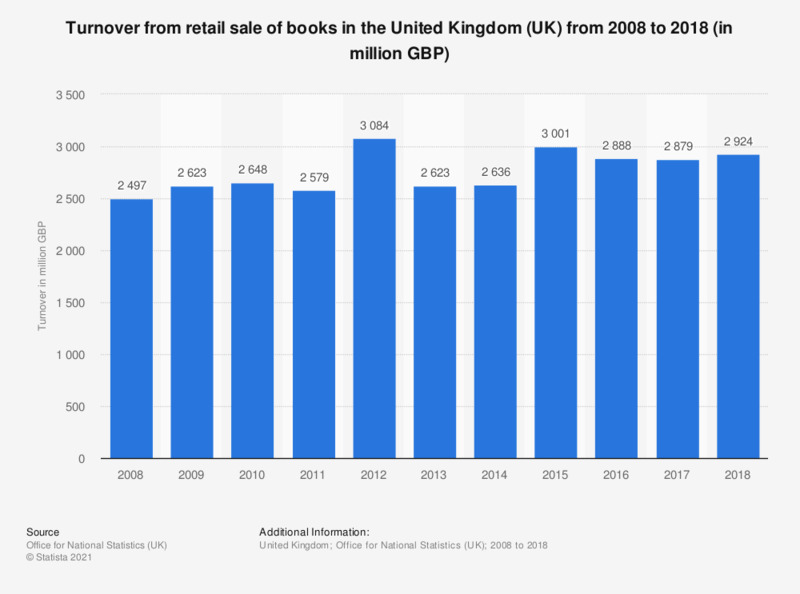 This statistic shows the total annual turnover of the retail sales of books in the United Kingdom (UK) from 2008 to 2016. Turnover from book sales increased from 2.58 billion British pounds in 2011 to 3.08 billion in 2012. By 2016, this value decreased to approximately 2.95 billion British pounds for the year.